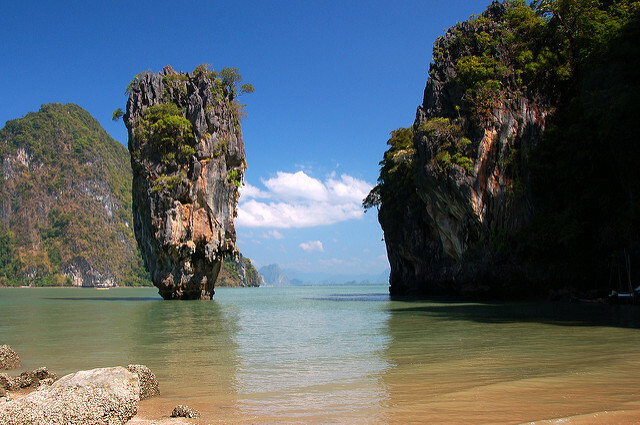 A good sale to Phuket. 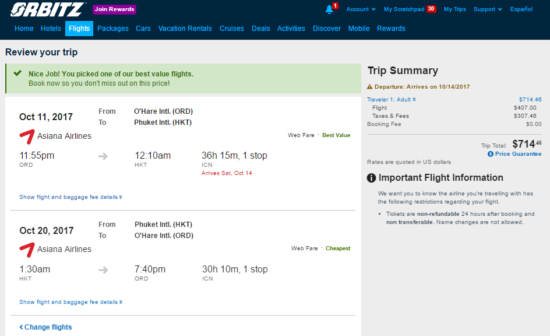 ITA will price this at $727, but using those dates on Orbitz will price this at $714. 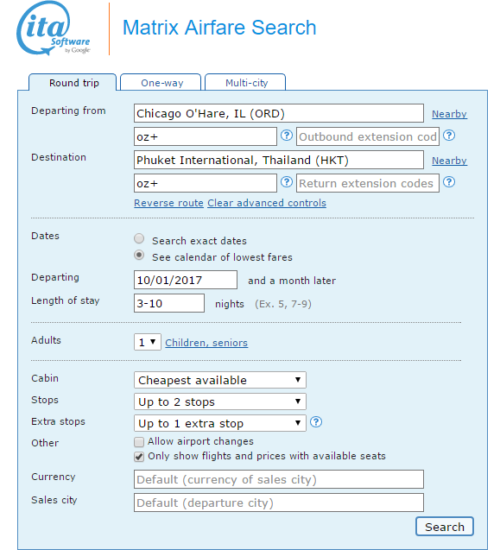 Valid for travel on the outbound from September – November or mid January, 2018 – March, 2018 for Sunday through Thursday departures and returns. Must purchase at least 3 days in advance of departure.